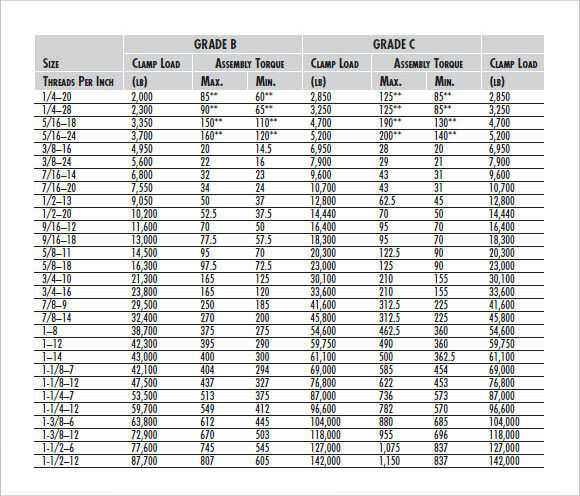 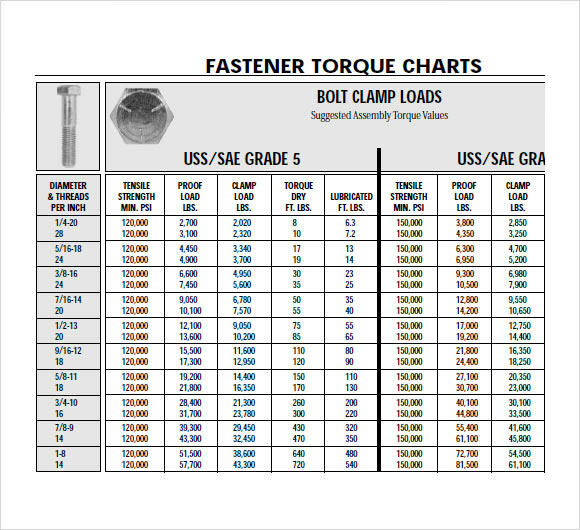 Our bolt torque charts are absolutely essential charts for handymen to keep handy. 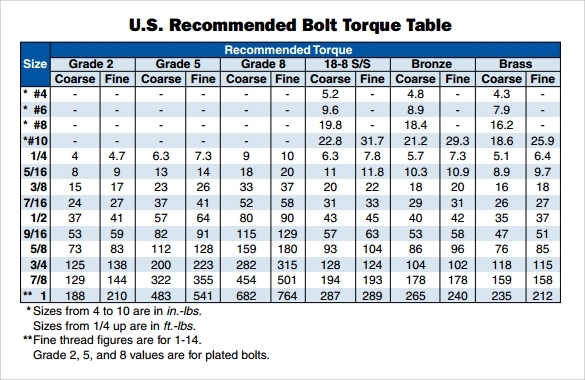 These charts can quicken the process of bolt tightening, especially when there are a large number of bolts that need to be tightened. 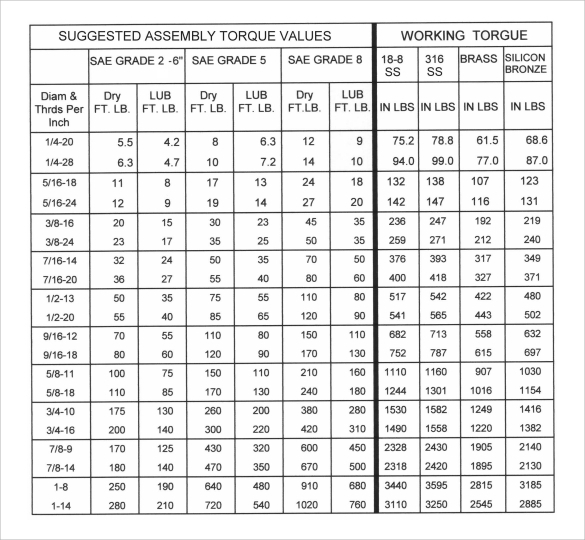 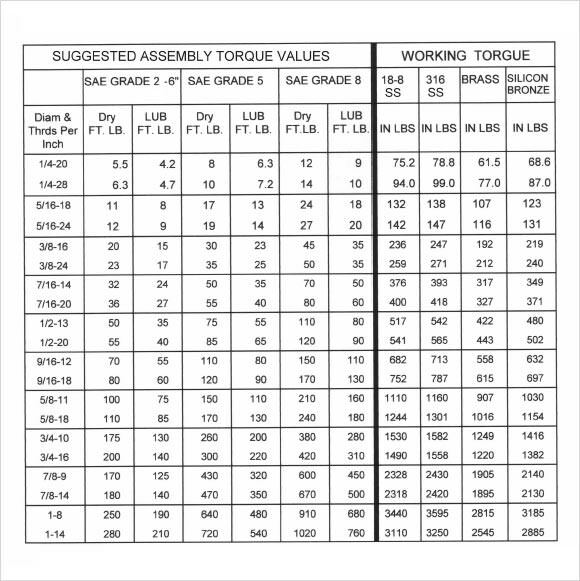 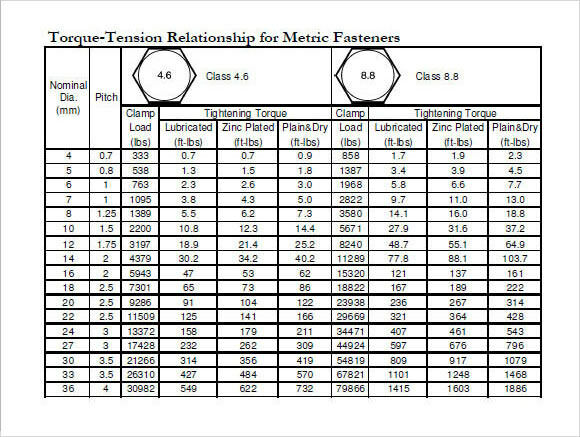 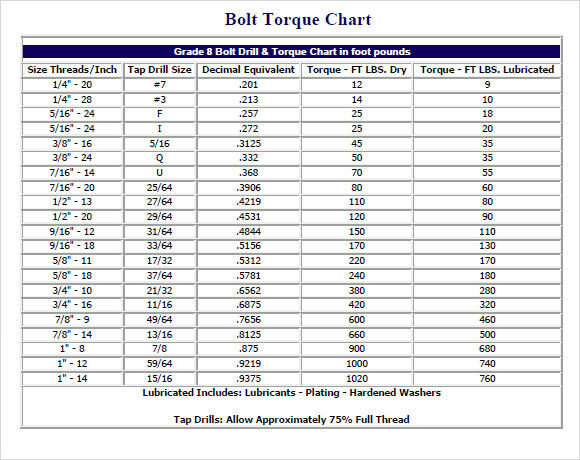 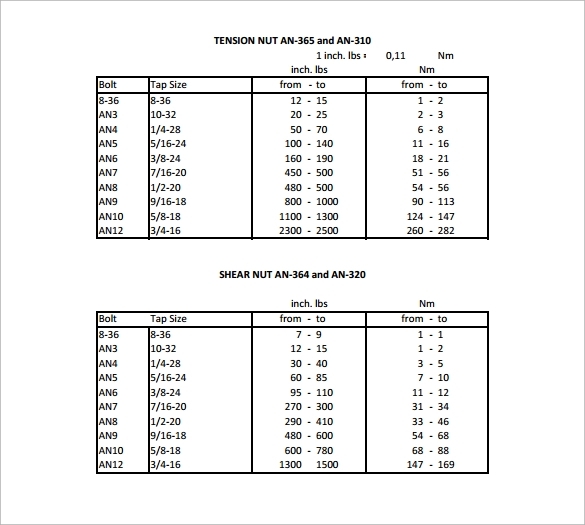 Our bolt torque charts are perfectly and accurately drawn up for this purpose.These Sample Chart Templates come in a large variety of formats, they also come with bolt diameter, nut size, moly lube, nickel lube, copper lube, and oil, dry and other relevant information. 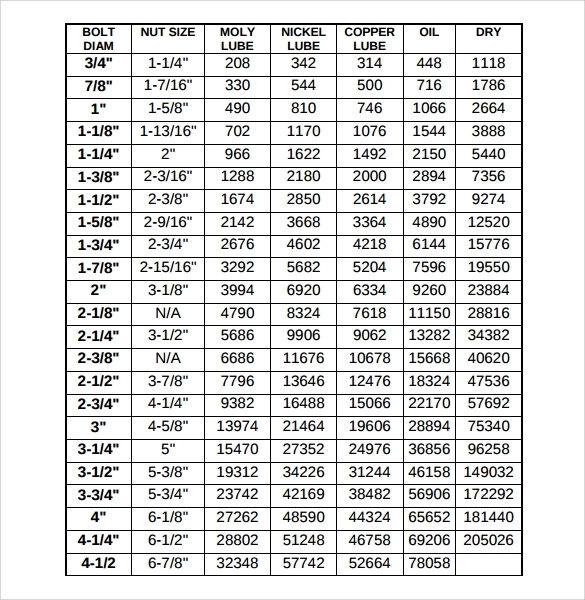 If you’re a handyman, select and download for free one of our sample templates today! 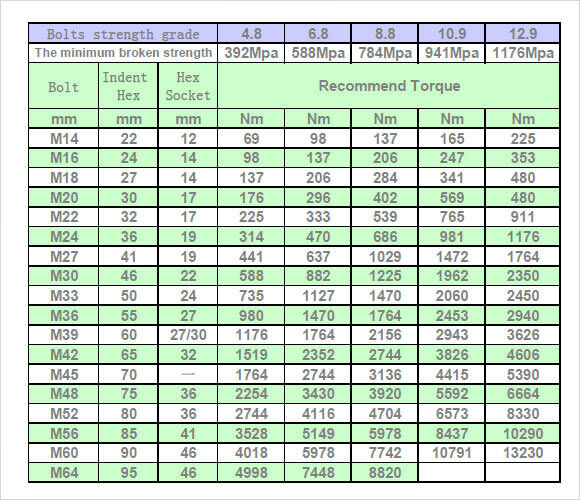 Print it out and keep it handy for your next big project.